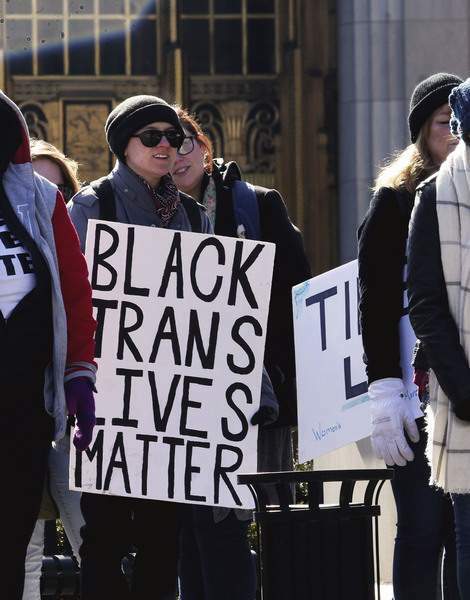 Katie Fyfe | The Journal Gazette Ellis Hernandez holds up a sign saying "Black Trans Lives Matter" during the Women's March at the Allen County Courthouse on Saturday. 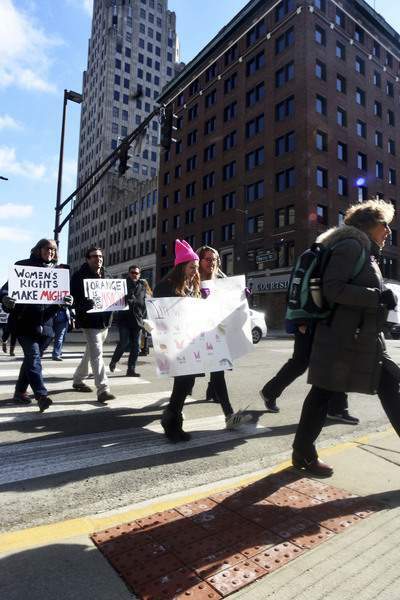 Katie Fyfe | The Journal Gazette Women and men come together to walk in the Women's March at the Allen County Courhouse on Saturday. 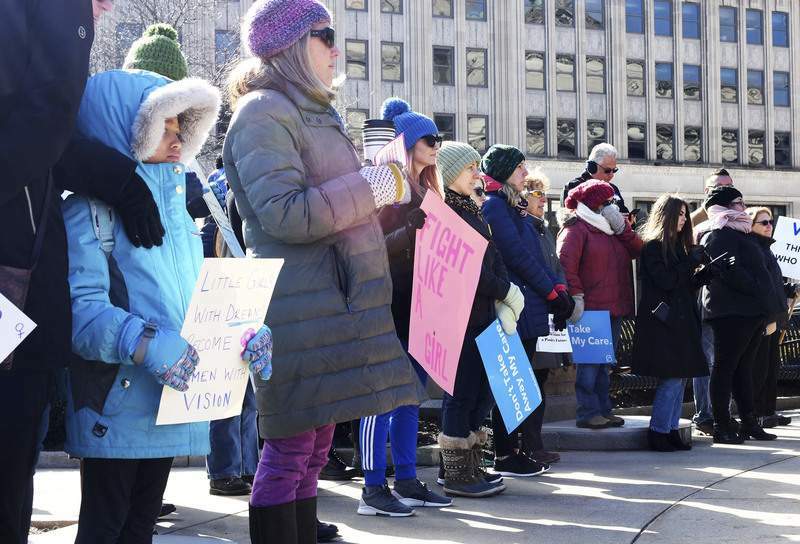 Photos by Katie Fyfe | The Journal Gazette About 75 people attended the third annual Women’s March on Saturday, carrying signs and listening to speakers at the Allen County Courthouse Square before heading to the Allen County Public Library. 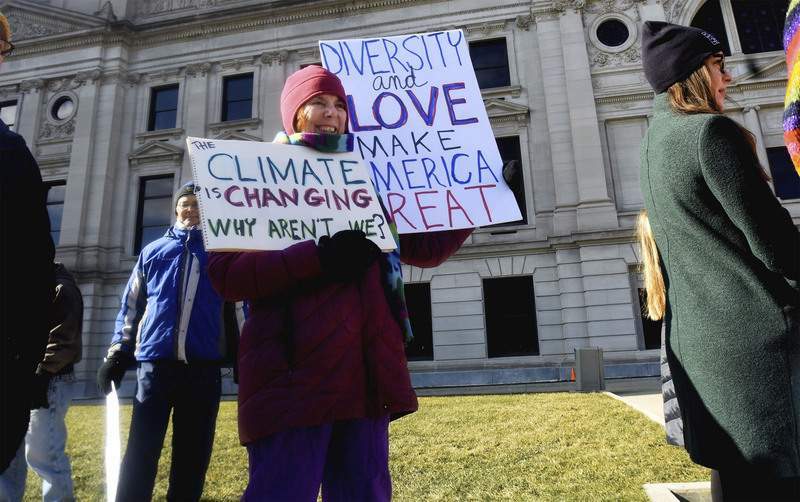 Katie Fyfe | The Journal Gazette Women and men come together to walk in the Women's March at the Allen County Courthouse in downtown Fort Wayne on Saturday. 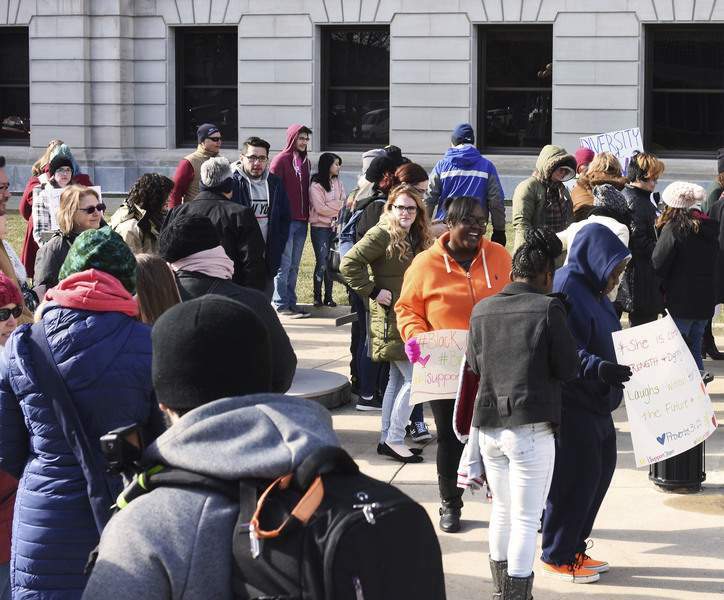 Katie Fyfe | The Journal Gazette Women and men come together to walk in the Women's March at the Allen County Courthouse on Saturday. 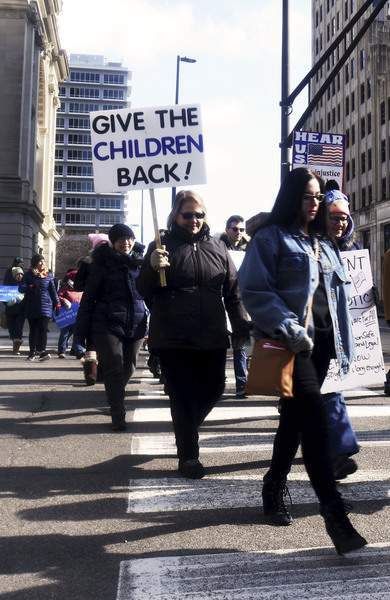 Katie Fyfe | The Journal Gazette Ruthie Ilnicki holds up a sign saying "Give the Children Back" during the Women's March in downtown Fort Wayne on Saturday. 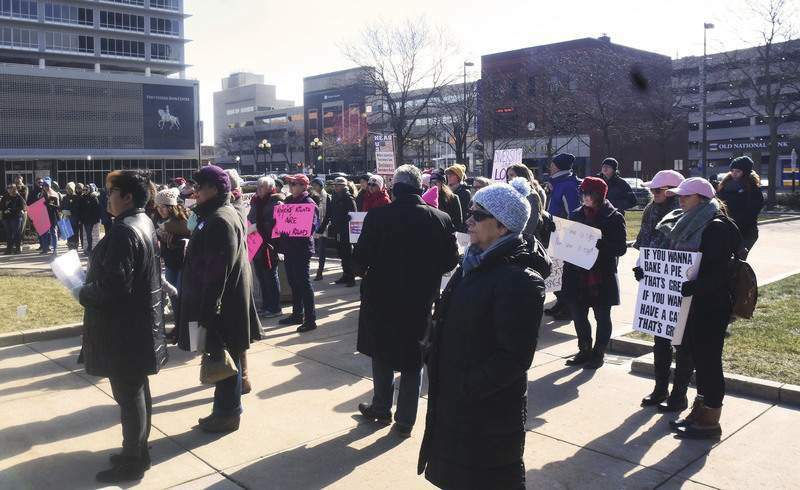 Women and men come together at the Allen County Courthouse and march to the Allen County Public Library for women's rights. 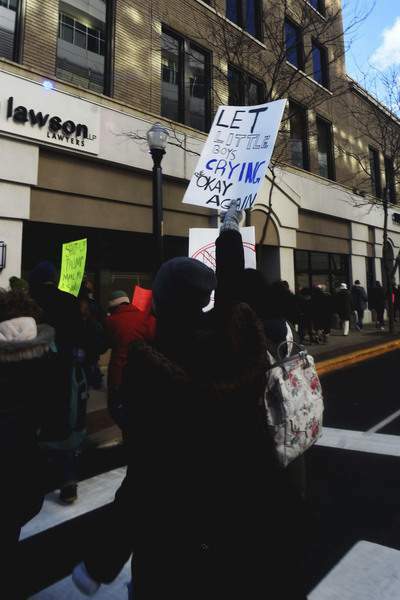 This march is a call to our community for a real consideration and upheaval of the current systems of oppression that are visible in our society and especially apparent in our government.